After 11 years, Tiger Woods is back! Tiger won the 2019 Masters Tournament, earning his 15th major win, and his first Masters since 2005. Now that Tiger is back, what does this mean for the golfing world with the PGA Championship right around the corner? The NBA Playoffs are heating up, as the first Game 2s of Round 1 kick off tonight. Plus, the NHL postseason is just as crazy, with the Islanders and Blue Jackets both on the cusp of sweeping their respective series. 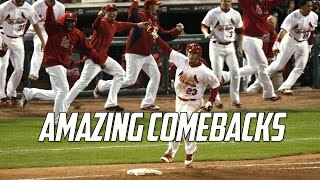 The guys also recap all the weekend action from around MLB. Gabe Morency and Joe Raineri discuss all these topics and more! With the Masters concluding over the weekend, Gabe Morency and Cam Stewart recap all the action from Augusta including Tiger Woods winning it all. Plus both the NHL and NBA playoffs are heating up, Gabe and Cam share their picks and predictions moving forward. *** ✔ Get a 10% discount at DailyRoto.com using code FNTSY. They've created seven millionaire DFS winners in under three years. ✔ Subscribe: https://www.youtube.com/fntsysportsnetwork ✔ Twitter: http://www.twitter.com/FNTSYSportsNet ✔ Facebook: https://www.facebook.com/FNTSYsportsnetwork/ ✔ 24/7 cable TV stream: http://FNTSY.com/tv/ ✔ Download FNTSY on iTunes: https://goo.gl/Yg4iJz ...and Google Play: https://goo.gl/J3kvyo 🎧 Live Free Radio: http://FNTSY.com/radio/ ✔ Get a 10% discount at DailyRoto.com using code FNTSY. They've created seven millionaire DFS winners in under three years. -PLUS fantasy, gambling, card break, and pop culture videos uploaded several times per day! FNTSY Sports Network was nominated for 30 industry awards in 2017. Join the 50,000+ fantasy players getting their advice from the industry's leader in content and subscribe today! **** ✔ Get a 10% discount at DailyRoto.com using code FNTSY. They've created seven millionaire DFS winners in under three years. ✔ Subscribe: https://www.youtube.com/fntsysportsnetwork ✔ Twitter: http://www.twitter.com/FNTSYSportsNet ✔ Facebook: https://www.facebook.com/FNTSYsportsnetwork/ ✔ 24/7 cable TV stream: http://FNTSY.com/tv/ ✔ Download FNTSY on iTunes: https://goo.gl/Yg4iJz ...and Google Play: https://goo.gl/J3kvyo 🎧 Live Free Radio: http://FNTSY.com/radio/ ✔ Get a 10% discount at DailyRoto.com using code FNTSY. They've created seven millionaire DFS winners in under three years. -PLUS fantasy, gambling, card break, and pop culture videos uploaded several times per day! FNTSY Sports Network was nominated for 30 industry awards in 2017. Join the 50,000+ fantasy players getting their advice from the industry's leader in content and subscribe today! Gregg Sussman and Frank Stampfl are joined by BFF Michael Florio in the first hour to break down the top waiver wire additions. In hour two The Closer Chris Ventra joins the guys to recap all the action from Thursdays games. *** ✔ Get a 10% discount at DailyRoto.com using code FNTSY. They've created seven millionaire DFS winners in under three years. ✔ Subscribe: https://www.youtube.com/fntsysportsnetwork ✔ Twitter: http://www.twitter.com/FNTSYSportsNet ✔ Facebook: https://www.facebook.com/FNTSYsportsnetwork/ ✔ 24/7 cable TV stream: http://FNTSY.com/tv/ ✔ Download FNTSY on iTunes: https://goo.gl/Yg4iJz ...and Google Play: https://goo.gl/J3kvyo 🎧 Live Free Radio: http://FNTSY.com/radio/ ✔ Get a 10% discount at DailyRoto.com using code FNTSY. They've created seven millionaire DFS winners in under three years. -PLUS fantasy, gambling, card break, and pop culture videos uploaded several times per day! FNTSY Sports Network was nominated for 30 industry awards in 2017. Join the 50,000+ fantasy players getting their advice from the industry's leader in content and subscribe today! **** ✔ Get a 10% discount at DailyRoto.com using code FNTSY. They've created seven millionaire DFS winners in under three years. ✔ Subscribe: https://www.youtube.com/fntsysportsnetwork ✔ Twitter: http://www.twitter.com/FNTSYSportsNet ✔ Facebook: https://www.facebook.com/FNTSYsportsnetwork/ ✔ 24/7 cable TV stream: http://FNTSY.com/tv/ ✔ Download FNTSY on iTunes: https://goo.gl/Yg4iJz ...and Google Play: https://goo.gl/J3kvyo 🎧 Live Free Radio: http://FNTSY.com/radio/ ✔ Get a 10% discount at DailyRoto.com using code FNTSY. They've created seven millionaire DFS winners in under three years. -PLUS fantasy, gambling, card break, and pop culture videos uploaded several times per day! FNTSY Sports Network was nominated for 30 industry awards in 2017. Join the 50,000+ fantasy players getting their advice from the industry's leader in content and subscribe today! 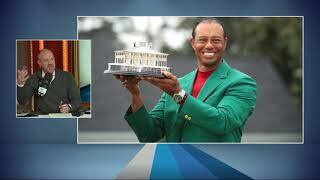 Joe Raineri and Dane Martinez recap a wild weekend in sports as Tiger Woods wins his 5th green jacket. The guys also recap all the action in the NBA & NHL playoffs, with some of the higher seeds in the NBA struggling with their lower seeded opponents. All that and much more on episode 50! Of Make It Rain!!! *** ✔ Get a 10% discount at DailyRoto.com using code FNTSY. They've created seven millionaire DFS winners in under three years. ✔ Subscribe: https://www.youtube.com/fntsysportsnetwork ✔ Twitter: http://www.twitter.com/FNTSYSportsNet ✔ Facebook: https://www.facebook.com/FNTSYsportsnetwork/ ✔ 24/7 cable TV stream: http://FNTSY.com/tv/ ✔ Download FNTSY on iTunes: https://goo.gl/Yg4iJz ...and Google Play: https://goo.gl/J3kvyo 🎧 Live Free Radio: http://FNTSY.com/radio/ ✔ Get a 10% discount at DailyRoto.com using code FNTSY. They've created seven millionaire DFS winners in under three years. -PLUS fantasy, gambling, card break, and pop culture videos uploaded several times per day! FNTSY Sports Network was nominated for 30 industry awards in 2017. Join the 50,000+ fantasy players getting their advice from the industry's leader in content and subscribe today! **** ✔ Get a 10% discount at DailyRoto.com using code FNTSY. They've created seven millionaire DFS winners in under three years. ✔ Subscribe: https://www.youtube.com/fntsysportsnetwork ✔ Twitter: http://www.twitter.com/FNTSYSportsNet ✔ Facebook: https://www.facebook.com/FNTSYsportsnetwork/ ✔ 24/7 cable TV stream: http://FNTSY.com/tv/ ✔ Download FNTSY on iTunes: https://goo.gl/Yg4iJz ...and Google Play: https://goo.gl/J3kvyo 🎧 Live Free Radio: http://FNTSY.com/radio/ ✔ Get a 10% discount at DailyRoto.com using code FNTSY. They've created seven millionaire DFS winners in under three years. -PLUS fantasy, gambling, card break, and pop culture videos uploaded several times per day! FNTSY Sports Network was nominated for 30 industry awards in 2017. Join the 50,000+ fantasy players getting their advice from the industry's leader in content and subscribe today! Joe Raineri and Dane Martinez get you ready for an action packed weekend in sports. The guys recap the games in the NBA & NHL Playoffs, as well as giving you their picks for the upcoming games for tonight. All that and much more on Make It Rain!! *** ✔ Get a 10% discount at DailyRoto.com using code FNTSY. They've created seven millionaire DFS winners in under three years. ✔ Subscribe: https://www.youtube.com/fntsysportsnetwork ✔ Twitter: http://www.twitter.com/FNTSYSportsNet ✔ Facebook: https://www.facebook.com/FNTSYsportsnetwork/ ✔ 24/7 cable TV stream: http://FNTSY.com/tv/ ✔ Download FNTSY on iTunes: https://goo.gl/Yg4iJz ...and Google Play: https://goo.gl/J3kvyo 🎧 Live Free Radio: http://FNTSY.com/radio/ ✔ Get a 10% discount at DailyRoto.com using code FNTSY. They've created seven millionaire DFS winners in under three years. -PLUS fantasy, gambling, card break, and pop culture videos uploaded several times per day! FNTSY Sports Network was nominated for 30 industry awards in 2017. Join the 50,000+ fantasy players getting their advice from the industry's leader in content and subscribe today! **** ✔ Get a 10% discount at DailyRoto.com using code FNTSY. They've created seven millionaire DFS winners in under three years. ✔ Subscribe: https://www.youtube.com/fntsysportsnetwork ✔ Twitter: http://www.twitter.com/FNTSYSportsNet ✔ Facebook: https://www.facebook.com/FNTSYsportsnetwork/ ✔ 24/7 cable TV stream: http://FNTSY.com/tv/ ✔ Download FNTSY on iTunes: https://goo.gl/Yg4iJz ...and Google Play: https://goo.gl/J3kvyo 🎧 Live Free Radio: http://FNTSY.com/radio/ ✔ Get a 10% discount at DailyRoto.com using code FNTSY. They've created seven millionaire DFS winners in under three years. -PLUS fantasy, gambling, card break, and pop culture videos uploaded several times per day! FNTSY Sports Network was nominated for 30 industry awards in 2017. Join the 50,000+ fantasy players getting their advice from the industry's leader in content and subscribe today! 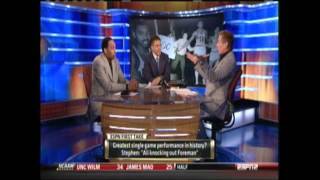 Stephen A. Smith and Skip Bayless discuss their views on the single greatest performance in sports history. Do I get a vote? Last years Finals was the funniest, in any event. Not even a mention! Gregg Sussman and Frank Stampfl are joined by Inside Injuries in the first hour to get the latest updates regarding Fantasy Baseball! In hour two The Closer Chris Ventra joins the guys to recap all the action from Wednesday's games. *** ✔ Get a 10% discount at DailyRoto.com using code FNTSY. They've created seven millionaire DFS winners in under three years. ✔ Subscribe: https://www.youtube.com/fntsysportsnetwork ✔ Twitter: http://www.twitter.com/FNTSYSportsNet ✔ Facebook: https://www.facebook.com/FNTSYsportsnetwork/ ✔ 24/7 cable TV stream: http://FNTSY.com/tv/ ✔ Download FNTSY on iTunes: https://goo.gl/Yg4iJz ...and Google Play: https://goo.gl/J3kvyo 🎧 Live Free Radio: http://FNTSY.com/radio/ ✔ Get a 10% discount at DailyRoto.com using code FNTSY. They've created seven millionaire DFS winners in under three years. -PLUS fantasy, gambling, card break, and pop culture videos uploaded several times per day! FNTSY Sports Network was nominated for 30 industry awards in 2017. Join the 50,000+ fantasy players getting their advice from the industry's leader in content and subscribe today! **** ✔ Get a 10% discount at DailyRoto.com using code FNTSY. They've created seven millionaire DFS winners in under three years. ✔ Subscribe: https://www.youtube.com/fntsysportsnetwork ✔ Twitter: http://www.twitter.com/FNTSYSportsNet ✔ Facebook: https://www.facebook.com/FNTSYsportsnetwork/ ✔ 24/7 cable TV stream: http://FNTSY.com/tv/ ✔ Download FNTSY on iTunes: https://goo.gl/Yg4iJz ...and Google Play: https://goo.gl/J3kvyo 🎧 Live Free Radio: http://FNTSY.com/radio/ ✔ Get a 10% discount at DailyRoto.com using code FNTSY. They've created seven millionaire DFS winners in under three years. -PLUS fantasy, gambling, card break, and pop culture videos uploaded several times per day! FNTSY Sports Network was nominated for 30 industry awards in 2017. Join the 50,000+ fantasy players getting their advice from the industry's leader in content and subscribe today! Never lose hope. Outro Song | Julian Calor - "Cell" Twitter | https://twitter.com/EXEEditsMLB Instagram | https://instagram.com/exeedits Facebook | https://www.facebook.com/EXEEdits * I do not own any of the clips that I upload. All clips belong to Major League Baseball. The 2019 NFL Schedule has been released and there are a ton of exciting matchups for the upcoming season. The rematch of the first ever MNF game, OBJ returns to NY, and some interesting international games as well. What are some of the biggest takeaways from each team's schedule? The NBA Playoffs continue to make headlines as the Bucks, Celtics, and Rockets all take 2-0 leads in their respective series. Plus, Richard Jefferson is in-studio to talk about the postseason and playing in the NBA! Gabe Morency and Joe Raineri discuss all these topics and more! *** ✔ Get a 10% discount at DailyRoto.com using code FNTSY. They've created seven millionaire DFS winners in under three years. ✔ Subscribe: https://www.youtube.com/fntsysportsnetwork ✔ Twitter: http://www.twitter.com/FNTSYSportsNet ✔ Facebook: https://www.facebook.com/FNTSYsportsnetwork/ ✔ 24/7 cable TV stream: http://FNTSY.com/tv/ ✔ Download FNTSY on iTunes: https://goo.gl/Yg4iJz ...and Google Play: https://goo.gl/J3kvyo 🎧 Live Free Radio: http://FNTSY.com/radio/ ✔ Get a 10% discount at DailyRoto.com using code FNTSY. They've created seven millionaire DFS winners in under three years. -PLUS fantasy, gambling, card break, and pop culture videos uploaded several times per day! FNTSY Sports Network was nominated for 30 industry awards in 2017. Join the 50,000+ fantasy players getting their advice from the industry's leader in content and subscribe today! **** ✔ Get a 10% discount at DailyRoto.com using code FNTSY. They've created seven millionaire DFS winners in under three years. ✔ Subscribe: https://www.youtube.com/fntsysportsnetwork ✔ Twitter: http://www.twitter.com/FNTSYSportsNet ✔ Facebook: https://www.facebook.com/FNTSYsportsnetwork/ ✔ 24/7 cable TV stream: http://FNTSY.com/tv/ ✔ Download FNTSY on iTunes: https://goo.gl/Yg4iJz ...and Google Play: https://goo.gl/J3kvyo 🎧 Live Free Radio: http://FNTSY.com/radio/ ✔ Get a 10% discount at DailyRoto.com using code FNTSY. They've created seven millionaire DFS winners in under three years. -PLUS fantasy, gambling, card break, and pop culture videos uploaded several times per day! FNTSY Sports Network was nominated for 30 industry awards in 2017. Join the 50,000+ fantasy players getting their advice from the industry's leader in content and subscribe today! ПОДПИШИСЬ НА FNTSY Sports Network!